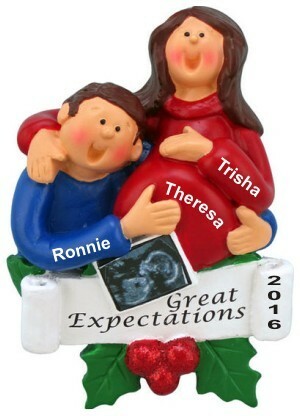 What a great time to celebrate! 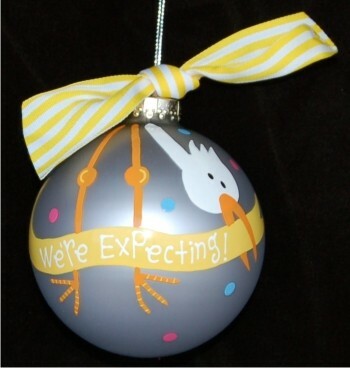 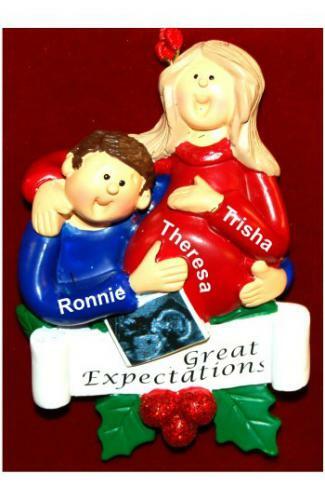 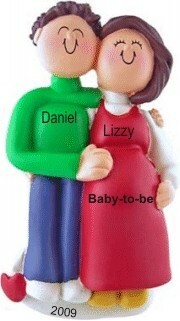 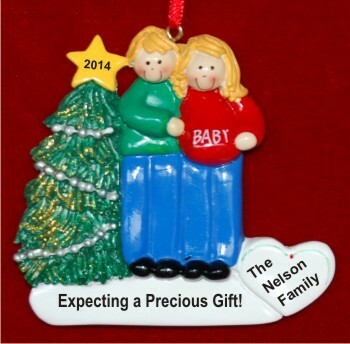 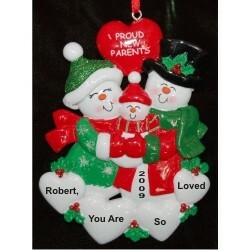 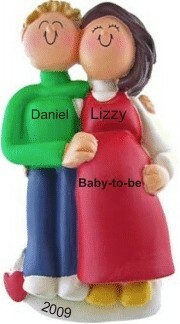 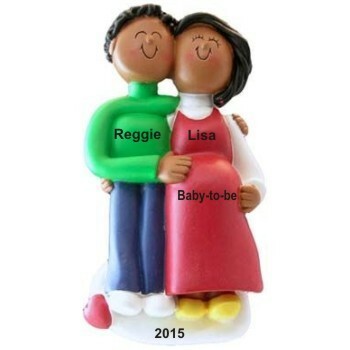 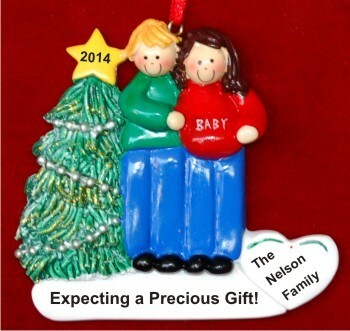 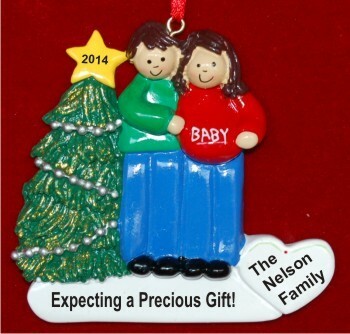 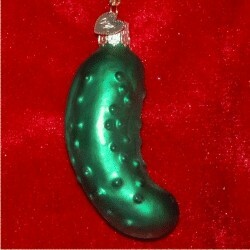 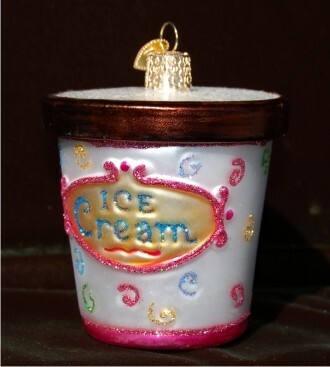 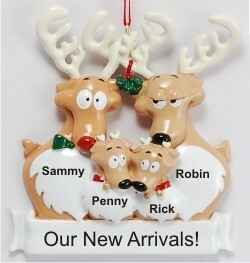 In this category, we offer personalized Christmas ornaments for both Caucasian and African American and Ethnic skin tones for couples who are expecting their first child. 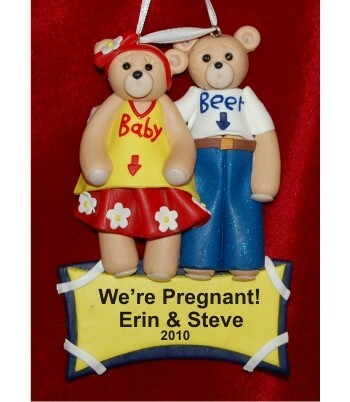 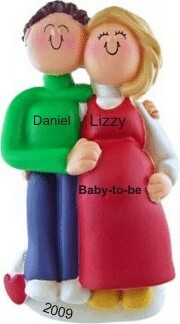 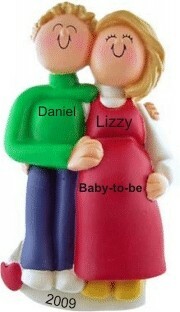 If still pregnant, you can personalize the woman's growing belly with the name of the child or with "Baby-to-be!". 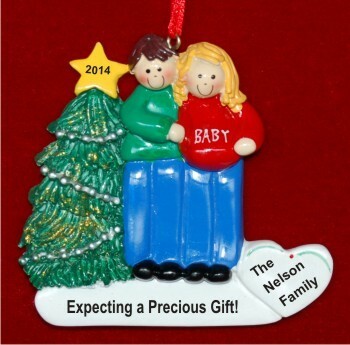 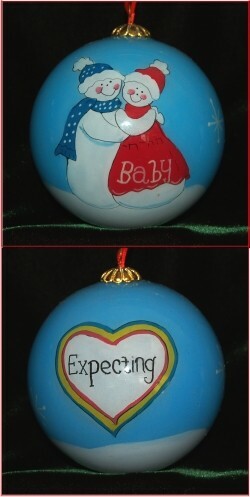 If already born, celebrate your new arrival with a new mom ornament that can be personalized for the couple and the new baby.